A luxury shaving gift set that comes in a matte finish aluminium box. Superbly priced, this is a comprehensive shaving kit including a safety razor and shaving brush. German made safety razor, our best selling shaving brush. The brush features super soft fibres that are incredibly soft, softer than badger silvertip brushes, yet they have a significant backbone. Suitable for men of all ages, skin and beard types. Ideal for someone looking to start shaving the traditional way and ideal for an experienced safety razor user looking to upgrade his kit. The Razor: The shiny handle is non-slip so you'll never lose your grip even when wet shaving. Made in Germany by Mule. Expertly engineered, this razor is a mild shaver, perfect for beginners to safety razor shaving. It benefits from an R89 head, the R89 is one of the top selling razors in the world. The Brush: This brush benefits from a knot of super-soft new generation synthetic hair and a lathe turned and polished handle. Softer than even a badger silvertip hair brush and free of animal hair, vegan and a good size. The Cream: Our Natural Shaving Cream contains no parabens, no alcohol, no artifical fragrances and is suitable for sensitive skin. It benefits from a subtle scent of Rosemary, Eucalyptus, Bergamot, Juniper and Pine Needle. Packed with essential oils and lubricants that allow the razor blade to glide over the contours of your face and throat. The Pre Shave: The perfect pre shave, great lubrication without the nasty scum line in your sink. The Blades: Ten pack of our top selling Personna razor blades, these blades are good for all skin and beard types. The Drip Stand: This allows the shaving brush to drip dry naturally and keeps the bathroom tidy. The Box: Measures 165 x 165 x 65 mm deep. Ever so handy for man storage, small screwdrivers, measuring tape, knive, compass and shaving gear too. Lather up your bristles with the Pre Shave oil then remove the bulk of it with the webbed part of your hand between your thumb and forefinger. Place some shaving cream or soap into a lathering bowl along with a few drops of warm water and use the brush to whisk up a rich creamy lather. Alternatively, load the bush with some cream and lather directly onto the face. Shave twice with the grain of the hair and once against the grain. We recommend you shave at a 30° angle to your face and apply little pressure when you shave, shave in short strokes of 25-30mm at a time. When you're finished shaving, rinse the brush under running water then hang your brush on the stand to let it aerate dry ready for your next shave. This set is fantastic value for money, perfect as a gift, or for starting out in the world of traditional shaving with a safety razor, synthetic hair brush, and shaving cream - a very popular starting set as well as being a great buy for those more experienced in safety razor shaving. Not for you? Click here to browse our collection of shaving sets if this isn't exactly what you're looking for. Executive Shaving Natural Shaving Cream: Potassium palmitate, potassium stearate, aqua, potassium cocoabutterate, potassium sheabutterate, sodium palmitate, sodium stearate, sodium cocoabutterate, potassium cocoate, potassium castorate, sodium sheabutterate, sodium cocoate, sodium castorate, glycerine (vegetable), Kaolin, Essential oil blend, linalool, citral, limonene, geraniol. 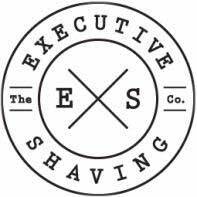 Executive Shaving Pre Shave Oil: Aqua, Glycerine, Potassium oleate, Potassium cocoate, Potassium castorate, Parfum (blended essential oils), Limonene, Eugenol, Citral, Linalool, Benzyl cinnamate & Cinnamal. Muhle Safety Razor, Metal alloy with high-grade acrylic handle. Synthetic Hair Brush: 100% synthetic fibre knot. The high-grade resin handle was lathe turned and polished - there are no mould marks to be seen on a lathe turned handle.